Updates? Someone has asked for updates...We haven't had internet as the rest of the world knows it, so uploading photos and videos will have to wait. After leaving Tahaa(our last post I believe) we sailed to the resort island of Bora Bora. We were not impressed with this tourist destination, it's what one would expect for a tourist destination. We hung around a few days, Lauri had a dentist visit, we toured the island by car then checked out of French Polynesia to continue our trek west. A one day sail brought us to the small island of Maupiti where we hiked to the top of the highest peak there for a breathtaking panoramic view. Snorkeled and swam Manta Rays, repaired the mainsail and overall enjoyed this island. 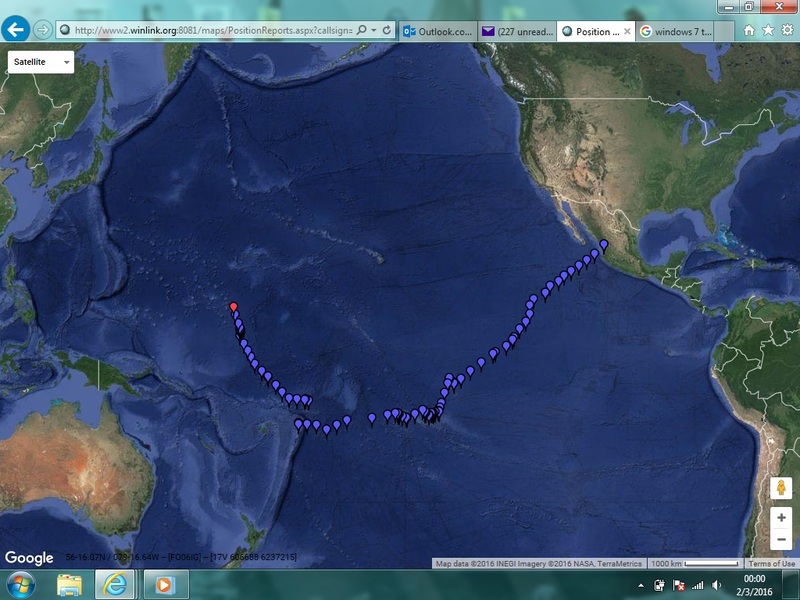 An overnight sail 100 nautical miles to the tiny island atoll Mopelia. Another fascinating place, absolutely beautiful, the idealistic South Pacific setting. Turquoise waters, coconut tree lined white sand beaches, and very friendly people(there are only about 15 people living on this island)We snorkeled, kayaked, had beach party feasts with some local islanders and a couple of other cruisers, lobster and parrot fish are plentiful here, delicious too! We spent 10 days here, partially due to waiting for a weather window because our next destination is a 4 days sail. Departed Mopelia July 29, arrived Palmerston Island August 1, another interesting place with a unique history. The island is inhabited by the descendants of one man, an English sea captain. The locals have a special relationship with yachties and welcome us with open arms, they come out to our boats to check us in, then transport us in there small boat through the reef to the island for a lunch feast, including lots of ice cream. Lauri bonded with the school teacher here, another interesting story for later. 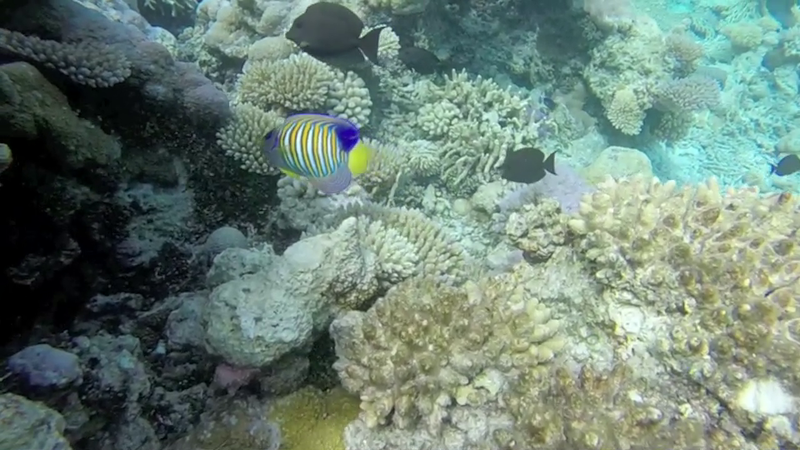 We spent 3 days on Palmerston then set sail on a 2 day sail to Beveredge Reef. Beveredge Reef is a fascinating place, a ring of coral in the middle of the ocean, no land just a ringed reef with a pass to allow us to enter and anchor. We navigated electronically, since the reef is not visible until we were right up to it, many boats lost here, we snorkeled one large fishing boat wreck, very cool. After 3 days in Beveredge we were off for an overnight sail to the tiny island nation of Niue. Yet another fascinating place, a raised coral island with spectacular geography, we drove around the island with two other cruisers and visited, caves, chasms and saw many Humpback whales, some whales come right into the anchorage, we even heard whale songs while in the boat. 5 days in Niue and we were off on a two night sail to the Kingdom of Tonga, our present location. Many islands and anchorages to explore here. A main anchorage at the town of Neiafu for provisioning and going out for lunch and dinner, socializing with many of our cruiser friends and just hanging out. Tons of things to do here, we went to an outer island and played Cricket with other yachties, snorkeled an amazing cave, had a really kewl wedding(more later)and plan to swim with the whales next week. Pictures and videos to follow as soon as we get to decent internet, Samoa perhaps. I bought a Rolex watch for my friend at this online store.replica rolex watches uk My friend likes it. He claims that this watch is great. replica rolex cellini watches Here are some tips for buying replicas, and we're sure that it has a high quality and look.